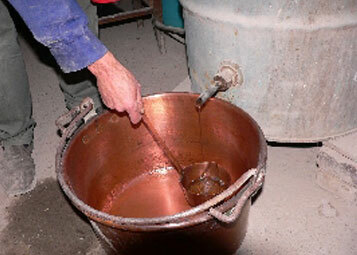 Part of the liquid obtained during the final stage of the distillation with still. It contains heavy and low-alcoholic substances and considerable amounts of water vapor. The separation of the tail from the rest is done manually basing on chemical analysis and tasting.